Your arrival may at Delhi. 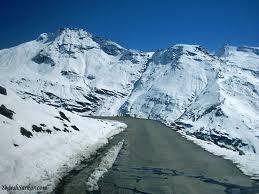 You will get A/C Volvo bus to begin your tour to Manali. Overnight in A/C Volvo bus. Enjoy. After arrival in Manali, representative of tour operator meet you and transfer to hotel.Rest of the day enjoy yourself at hotel. Dinner and overnight stay at hotel. After breakfast in morning, Proceed to visit Manali includes Kothi Gorge, Gulaba, Marhi, Rohtang Pass and Sohlang Valley. After all these sight seeing, return back to hotel in evening, dinner and overnight stay at hotel. After breakfast, you can go for visiting Hadimba Devi Temple, Manu Temple, Tibetan Monastery and Vashist Village. After this visit, you can take rest for afternoon and evening. Dinner and overnight stay at hotel. After having Breakfast in hotel and check out from the hotel at 12.00 hrs and afternoon you can go for shopping. In the evening transfer to Manali bus stand to board A/C Volvo Bus bound for Delhi. Your arrival at Delhi for continuing your jouney for next destination. Here ends Manali Tour. Local transportation using Non A/c car as per the itinerary including all taxes, parking, toll, driver allowance. Lunch, telephone laundry, Entry ticket any or anything which is not mentioned above. 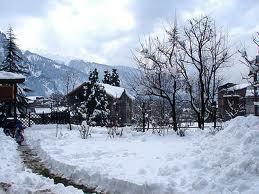 Kashmir is one of the well known and favourite destination of the Indians as well as others around the world. 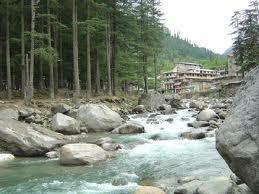 This Tour package of Charismatic Kashmiris brought to you by Make my trip. com which is a reputed online tour operator.